Is it possible to put homebrew into a great outdoor kegerator? The short answer is: yes. Absolutely. The process of doing so is a bit more complicated. If you are making your own homebrew and want to use a kegerator, then you’re going to need to start kegging your own beer. It’s convenient, can save you money in the long run, and can be a great time saver. 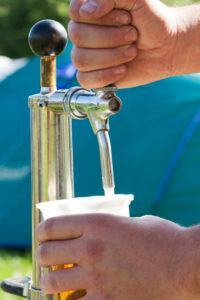 To get started, you’re going to need to purchase a beer kegging system. You’ll want to look at a local supply store to purchase the keg you’ll need, a carbon dioxide tank, and your pressure regulator. You’ll need two hoses as well: one for the gas and the other for your beer. The best value purchase for a keg is the Corny type, which is short for “Cornelius.” It will hold 5 gallons, which is a good batch of homebrew. Let’s assume your keg has been cleaned. The first step is to pressurize the keg to see if there are any leaks. Check your fittings and valves with soapy water to detect any escaping gas. Then you’ll want to sterilize the keg. Iodophor is the recommended agent for this process. Once the keg has been sterilized, you can begin filling it with your beer. You do so by siphoning it from your fermenter. This avoids aerating the beer and lessens the mess that you’ll need to clean up afterward. After the keg is filled, put the top onto it. Then pressurize the keg by using the CO2 from your tank. Then purge any remaining air from it, replace it with the CO2, and you’re good to go. You can purge oxygen from the keg by pressurizing it with CO2, then releasing air via the release valve at the top of the keg. You’ll want to do this 5-7 times to ensure no trapped air remains. To carbonate properly, you’ll need to have your keg stored at the proper temperature and pressure. This is where your kegerator is going to lend you a helping hand. 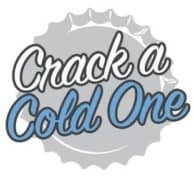 Get the temperature from your kegerator and then use a carbonation calculator to determine the volume of carbon dioxide that you’ll want for your homebrew. For those who don’t want to calculate carbonation, begin at 10 PSI and then adjust it to personal preferences over time. Remember to set your tank regulator for the CO2 so you achieve the correct pressure. Then connect it to your keg and place it into the kegerator. Check your lines and connectors for leaks one more time, especially if you’re using a new system. Then you need to play the waiting game. 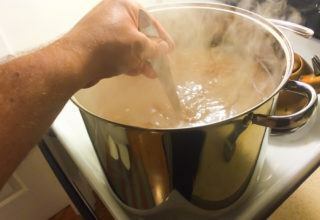 Your beer will begin the carbonation process in the next 24-48 hours. 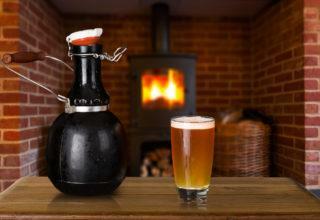 It generally takes about 7 days for a full 5-gallon keg of homebrew to achieve full carbonation. Now you’re ready to pour your beer and relax. Enjoy your creation!